Description: My Only Comfort: Come join a journey of faith. The eleven songs that grace this CD were gifts given as part of Lorraine's ?Song Gift' ministry, written for organizations as small as a country church and as large as the Reformed Church in America. 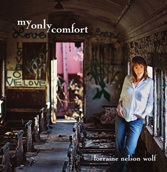 Biography: A graduate of the Manhattan School of Music, Lorraine Nelson Wolf is a multi-talented musician, singer, and composer whose music has traversed the line between secular and sacred. She has composed music for television and film, worked as a keyboardist and music director for Broadway shows in New York, and played on the stages of Carnegie Recital Hall and the Kennedy Center. She has worked as a church music director and worship leader, choir director and organist, and is currently touring the United States with her “Song Gift Weekends” ministry. 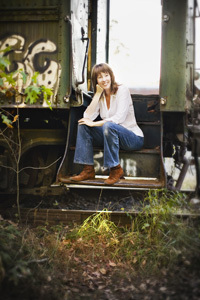 With six solo CDs to her name, her music has been heard on radio stations worldwide. Her sacred songs have been featured on Norman Vincent Peale’s Guideposts website and sung in hundreds of churches. She recently completed a commission for the Reformed Church in America, writing a piece celebrating the 30th anniversary of the ordination of women as ministers. Awards include multiple Billboard International Song Contest prizes, ASCAP composer awards, as well as two Parents’ Choice awards for her popular CD series of children’s folk songs, “Come Follow Me!” For more information and sound files, visit www.nelsonwolf.com.